Correction: Saudi Arabia is not the only export customer of the Brimstone 2 missile. Qatar is also on that customer list. LONDON — Missile-maker MBDA has secured a £400 million (U.S. $568 million) capability sustainment program with the U.K. government, which will extend the service life of the country’s Brimstone air-to-surface missile. The deal could also lead to the weapon’s use on British attack helicopters and drones. The contract will see the current Brimstone 2 weapon enhanced with software and a number of other updates. 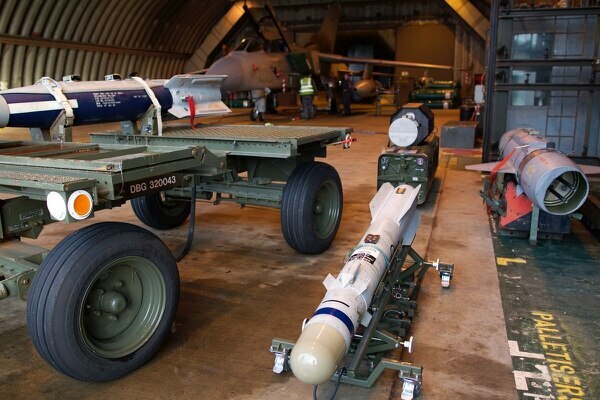 In addition, MBDA will manufacturer an unknown number of new missiles to replenish Britain’s inventory. 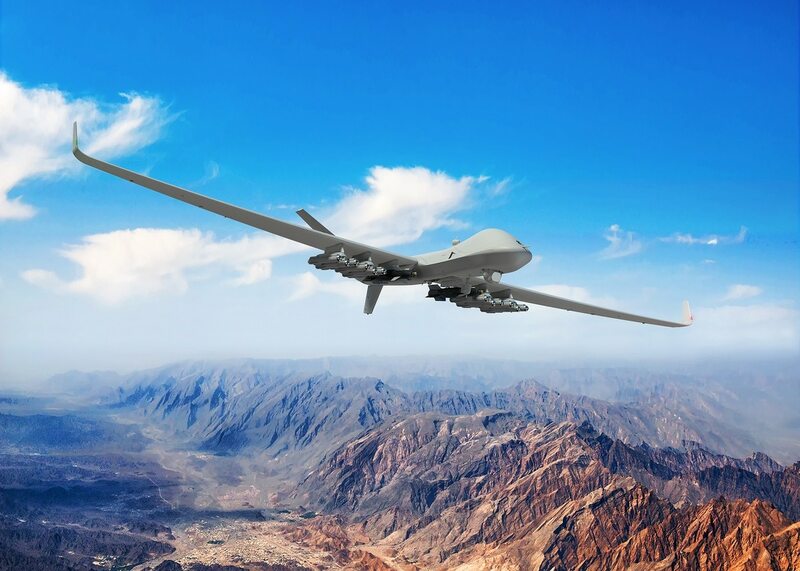 The capability sustainment opens up the path for Britain to field the weapon on Boeing Apache attack helicopters operated by the British Army and the new Protector UAV being acquired for the Royal Air Force to replace its Reaper fleet. “The announcement today [March 27], while focused on Typhoon fast-jet capability, in reality enables [the Ministry of Defence] at a point of their choosing to decide what other platforms they want it on. ... We hope for good progress on both [programs] this year,” said Chris Allam , MBDA’s group engineering director and the managing director of MBDA UK. MBDA executives declined to provide dates for the upgrade and manufacture of the weapon, but said the work will extend the missile’s service life beyond 2030. Production work in the U.K. could get underway later this year, said one executive. The contract announcement coincided with the European company’s release of performance figures for 2017, which showed sales, backlog and exports moving in a positive direction, with orders recording a small slip. Sales rose marginally to €3.1 billion (U.S. $3.8 billion) compared with €3 billion in 2016. The order backlog was up nearly €1 billion to €16.8 billion. Orders for the year declined though to €4.2 billion from €4.7 billion the previous year. MBDA CEO Antoine Bouvier said it is the company’s ambition to achieve annual sales of €4 billion by 2020. MBDA is jointly owned by Airbus, BAE Systems and Leonardo. The Brimstone 2 entered service with the Royal Air Force in 2016 and is itself an update from an earlier version, with improvements like an insensitive munition-compliant rocket motor and warhead. MBDA said the software enhancements being incorporated into the weapon will produce a common stockpile of missiles for use on fast jets, attack helicopters and remotely piloted vehicles. The weapon is only operational on Tornado strike jets for the moment, but British work on the integration of the missile on the Typhoon jet is coming to a close ahead of it entering service on the aircraft by 2019. The integration of Brimstone on the Royal Air Force’s Typhoons opens up opportunities with the growing list of customers for the fast jet. Until recently, Saudi Arabia had been the only export customer, deploying the weapon on its Tornado strike jets. Qatar is now on that customer list. Brimstone will be part of the weapons fit for the 24 Typhoons the Gulf nation recently ordered from the U.K.
Saudi Arabia also operates the Typhoon and recently signed a preliminary deal to buy a further 48 jets to add to the 72 aircraft it has already purchased. Britain is yet to announce its intention to arm new Apache and Protector capabilities with Brimstone, but the decision to push through the missile upgrade is a strong signal of the country’s intention to do so. Some updates planned for the Brimstone 2 are in part aimed at helicopter and remotely piloted vehicle operations. “The contract will refresh the technology in the missile and enable production to continue into 2030,” he told reporters at a briefing.